The event, sponsored by Emmaus, promises to be a hit with green fingered people of all ages with fruit & vegetable, flower & floral art home produce and art & craft categories. We are crossing our fingers for a good harvest this year and asking local growers for surplus herb and vegetable donations for their live ‘herby cook off’ demonstration, which aims to use local abundant produce in a variety of tasty dishes. The activity is funded by Awards for All. 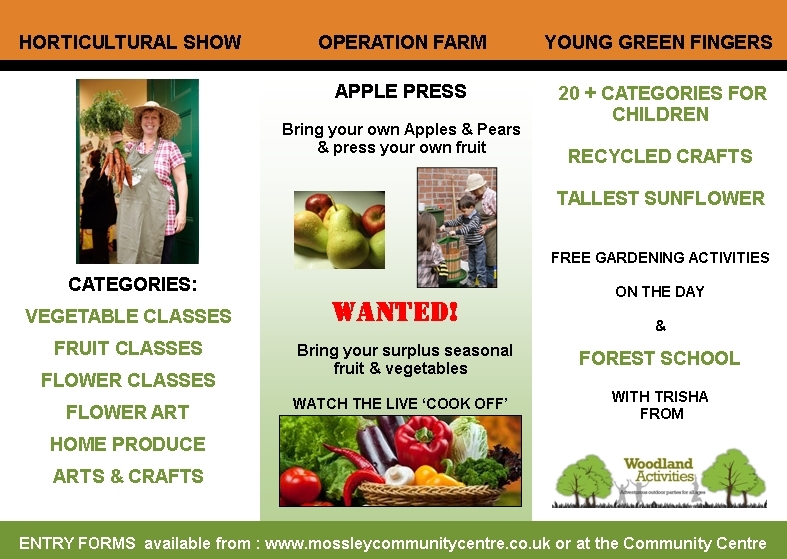 So, if you have a fruit tree in your garden, bring along your abundant apples, plums and pears for juicing in Operation Farm’s funky apple mill and press (bring containers too!). 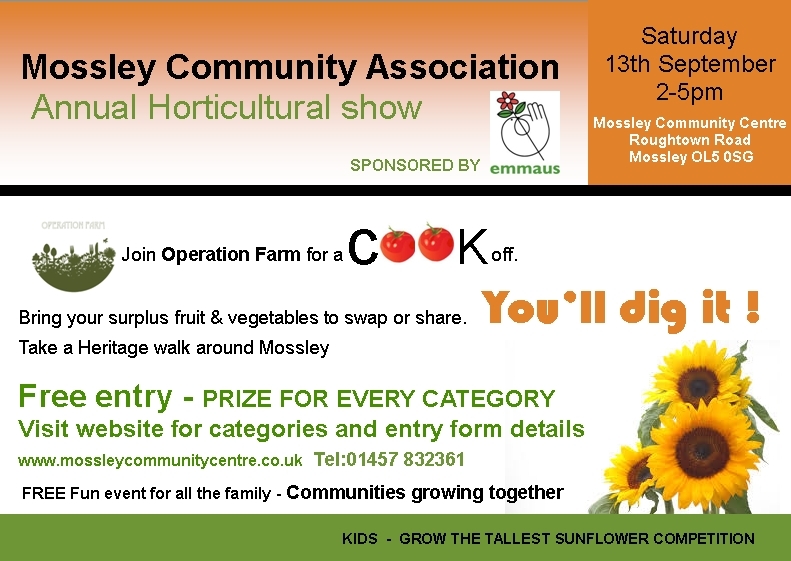 For more information visit www.mossleycommunitycentre.co.uk email info@mossleyroughtown.co.uk, telephone 01457 832361 or just drop in and see us! ← Pruning in the sunshine!